Saturday’s derby between Sevilla and Betis is the marquee match on the Spanish Primera Division program this weekend and betting on a share of the spoils is the best way to tackle the 95th league meeting of the southern sides. Qualification for a UEFA club competition is a realistic objective for both Sevilla and Betis, although the UEFA Champions League is probably out of reach for the latter because they are six points behind the former with seven rounds to go. Sevilla’s four victories from its last five Spanish Primera Division games have reignited its league campaign, resulting in it being just one point of Getafe, which occupies Spain’s four UEFA Champions League berth. Betis is ninth on the Spanish Primera Division ladder and, like Sevilla, it is coming off a league win last time out, although it was only a home defeat of lowly Villarreal that snapped the three-match winless run of the Green and Whites. According to one’s Spanish Primera Division collateral form analysis, Sevilla enjoys a 10-0-9 lead over Betis but there is more to those numbers than meets the eye. First, Betis beat Sevilla 1-0 in September’s reverse Spanish Primera Division fixture. And second, Betis has fared much better than Sevilla against most of the Spanish Primera Division heavyweights, with the progressive collateral form counts favouring the Green and Whites 5-0-1 and 6-0-2. One views results versus strong sides as being of greater value than results versus weak sides so one is willing to elevate Betis to being at least the equal of Sevilla on one’s statistics. Rarely is backing the draw a bad move in derby games and, with so much data pointing to there being little difference between Sevilla and Betis, it is one’s Spanish Primera Division Round 32 headline selection at juicy odds at 16/5 4.20 +320 3.20 3.20 -0.31 with Betway. Get the best odds in La Liga with our selected bookmakers below. 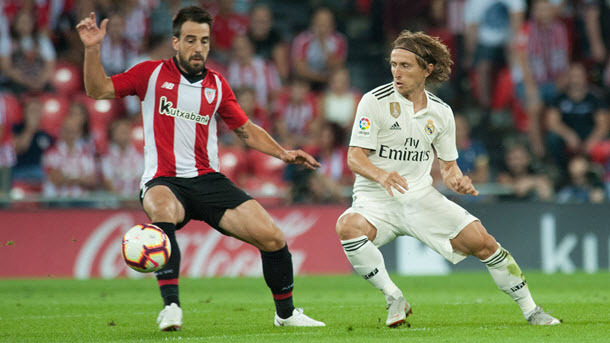 Athletic has been one of the form teams of the Spanish Primera Division season’s second half, whereas the total opposite is true of Vallecano, which is staring relegation in the face in spite of its last-start win over Valencia. Eighth on the Spanish Primera Division ladder, Athletic boasts a 10-3-6 collateral form advantage over Vallecano, including progressive counts of 4-1-0, 7-1-1 and 10-2-2, plus 1-1 draw in October’s reverse fixture that reflects better on the Lions than Rayo. Only Basque rival Sociedad and 18th-ranked Vallecano have defeated Athletic in Bilbao during the Spanish Primera Division competition and one of those matches was a derby and the other, well, it produced an inexplicable result given the Yellow Submarine’s form. Most of Vallecano’s Spanish Primera Division away displays have been poor so one is happy to take a punt on Athletic. 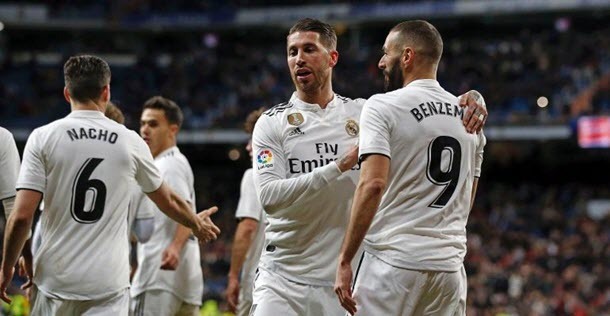 The final Spanish Primera Division game on the card is Real Madrid’s road match against Leganes on Monday at 31/50 1.62 -161 0.62 -1.61 0.62 with Betway, a clash that one expects the Meringues to win. According to one’s Spanish Primera Division collateral form analysis, Real Madrid holds a 14-1-4 edge over Leganes, including progressive counts of 7-1-1 and 13-1-3, plus a 4-1 victory when the markedly different sides met in league action seven months ago.